VirtualBlock is an application that can be assembled block on the Android terminal. 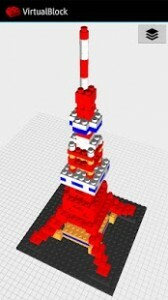 Experience the creativity, such as LEGO® and nanoblock. long-press the screen, and press the [Add] button. long-press the block, and drag it. long-press the block, and press the [Delete] button. long-press the block, and press the [Rotate] button. long-press the background, and slide it. press the [Capture] button in menu. press the [Shutdown] button in menu. Awesome!!! Except a few things When you click where you want to place a block it should show an outline of where the block will place.there should be a customization interface whare u can get custom sized blocks. Last the studs on the blocks should be more “see able like maybe with an optional outline.